The high oxidation potential of ozone is utilized to its greatest advantage with highly efficient 500CT-12 Ozone Air purifier developed by us. 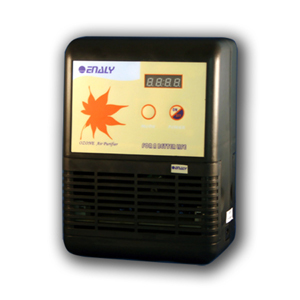 500CT-12 comes with two operating modes- Daily Purifying Mode and Unoccupied Ozone Shock Treatment Mode. The Unoccupied Ozone Shock Treatment mode is for removing stubborn odors like smoke, mold and pet odors and for killing serious germs, mold and viruses. There are 7 Unoccupied Ozone Shock Treatment strengths to choose from and the treatment can be easily performed in an occupied room.